My name is C_____ and I am 13 years old in the 8th grade. A classmate told me she was a Christian but she didn’t believe some of what the Bible says. I asked her for an example and she told me that the Bible said that animals don’t have souls and how she believed that they did have souls. I would be very appreciative if you would help me on my quest to find out what the Bible says about that. 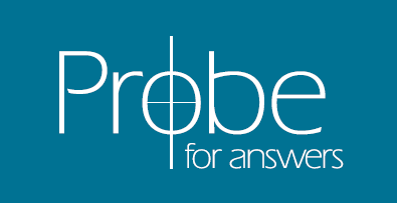 We have an answer to email about animals and souls and going to heaven: www.probe.org/do-our-pets-go-to-heaven/. I would ask your friend where in the Bible it says animals don’t have souls. Lots of people have heard things they repeat as true but they don’t really know. When you ask powerful questions like, “How do you know that?” and “Where do you get your information?” the answer is really, “Well, I heard. . .” or “They say that. . .” Which doesn’t go very far in being persuasive, does it? <smile> In reality, the Bible doesn’t anywhere say, “Animals don’t have souls.” It’s a much bigger issue than that, and it comes down to the fact that animals are not made in the image of God, like people are. (Note that angels are not made in the image of God either. Not being made in the image of God doesn’t mean something doesn’t have great value.) And it also matters how you define “soul.” If you mean “personality,” then of course some animals have souls. If I ask our Irish Setter Pele, “Pele, do you have a soul?” with a smile on my face and energy in my voice, he’ll respond by breathing fast, wagging his tail, and smiling his doggy smile. If you mean, “the spiritual place inside you where God can dwell,” then no they don’t. If I ask our dog, “Pele, who made you? Do you know who God is? Did you know Jesus is Lord?” he’ll just keep on wagging his tail. . . or sleeping. . . or looking at me blankly—because those questions have no meaning to him. He is not a moral creature like we are. He cannot respond to the truth of the gospel because he has no understanding and no choice. He does, however, glorify God by his “dogginess.” He brings glory to God by just being the dog God made him to be. He has a place in God’s creation, and a very important place in our hearts. . . but he cannot become a part of the Kingdom of Heaven or the family of God like we are. Any more than he can choose to become a fish. "Do Our Pets Go to Heaven?"